Children's playground equipment have come a long way and they are no longer just simple spinning wheel, a slide or a swing, but they come in a variety of play sets. Modern play sets comprises of structures such as climbers, Merry go rounds, Balance Beams, Sliders, Swing sets and See-saws among others. Even better, most playground manufactures incorporate handicap accessible equipment’s thereby considering the needs of physically handicapped children. Children will always be content in playground whether it's in the park, at school or at home in the backyard. Therefore, if you are shopping for a play set, grace yourself to think beyond the space issues or the target group of kids who will be using the play set. While shopping for playground equipment’s, you need to be up to date with the latest trends of play sets. Without doubt, manufactures are emphasizing on playground safety, a factor which has led to replacement of the conventionally rusty metals with plastic equipment’s. Children's plastic playground equipment is much safer as they lack sharp edges, and will protect your child when they fall. Innovative play sets have been introduced to help children learn as they play thereby helping them to grow both physically and mentally. It is possible to watch children's imagination come to life when you select the right playground equipment for them. Play areas can be customized with the latest children’s playground equipment which is both entertaining and safe. It does not matter where you are building a public play area or a private backyard play area, selecting the right play set accessory is important. 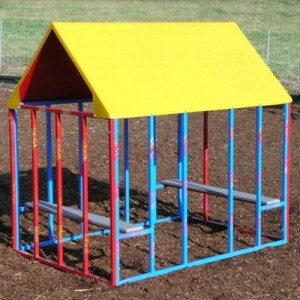 You can choose between playhouses, interactive play systems, swing sets, climbers, slides or commercial play sets based on your needs. Parents and care givers can always find information of the latest trends of playground from the internet and children magazines.